Have you ever wondered what would happen if you took a chance, a seemingly crazy chance, to put your stable job on hold and follow your passion? 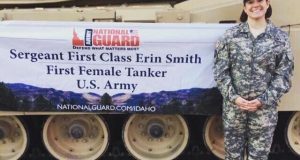 Stephanie Swendall, a 2002 Eagle High School graduate, did just that. She worked at a secure accounting job, but her creative style and passion for DIY kept a-calling so she took the leap and turned that passion into BohemianBlush, a thriving and rewarding business. Stephanie has a passion designing inspirational, peaceful, and textured wall hangings with elements of nature in a modern bohemian style. While getting a bit burnt out at her corporate accounting job, she wanted to see where her love and passion for all things handmade could take her. She began experimenting with leather sandals, bookmarks, and home decor. 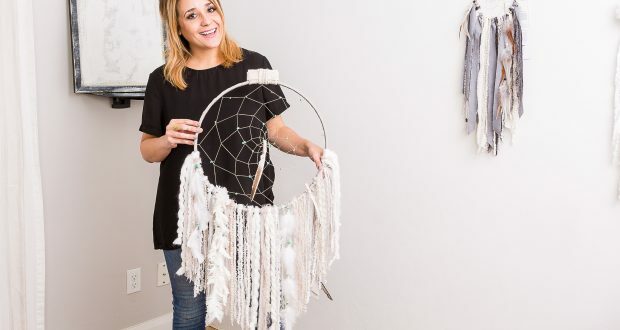 When she started making her unique bohemian style dream catchers, her business began to get real exciting. She initially shared her creations with family and friends and was encouraged by their positive reactions to open an online shop. In 2013, Stephanie created her Etsy store, BohemianBlush, and anxiously awaited the reactions of the market. One evening, while watching television with her family, she heard the “ka-ching” phone notification that she had made her first sale on the popular online platform. And one by one, the orders began rolling in. Her customers love the simple elegance of her products. Clients make purchases for gifts, special occasions, and for their own children. Within a year of that first sale, Stephanie was able to quit her accounting job and pursue this creative venture full time. She turned a room in her house into an efficient, organized home art studio where she designs and creates each product with care and intention. Dream catchers have been a part of Native American culture for generations. It is believed that the dream catcher protects the sleeping individual from negative dreams by catching them in the web and releasing them at first sunlight, while allowing the good dreams to pass through the center and glide down the feathers to the sleeping dreamer. 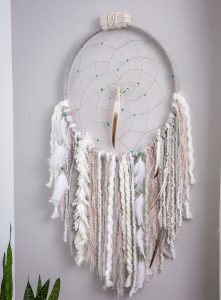 Her one-of-a-kind dream catchers are very popular with expecting moms, for nurseries, and also with young girls. They are fun, whimsical, and bring comfort to both parents and babies. 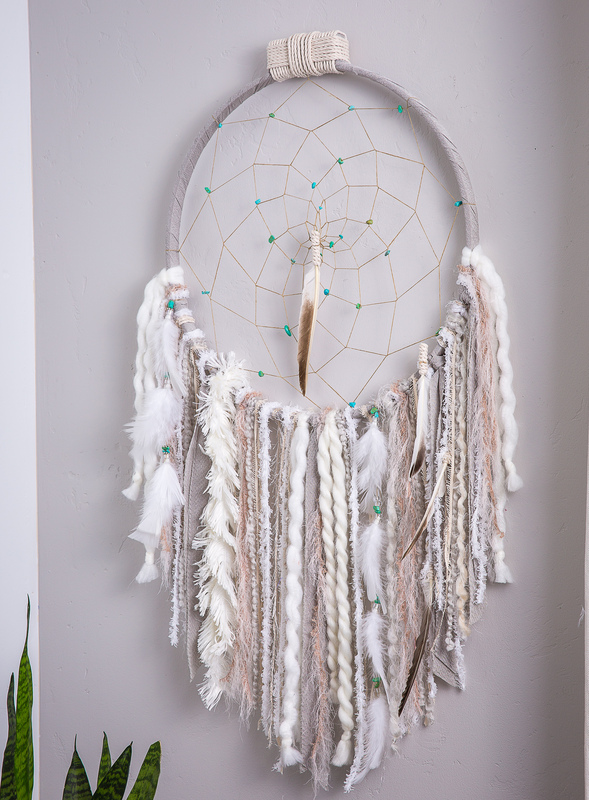 BohemianBlush currently specializes in made-to-order, customized dream catchers, baby mobiles, Bohemian wedding decor, home decor, barefoot sandals, and leather works. 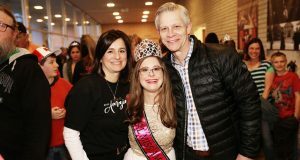 This business has allowed Stephanie to create meaningful relationships with her clients; she often experiences return clients and has received strong local support. Stephanie’s favorite materials are ones she can buy locally; she uses leather, feathers, paint, gold thread, yarn, wood, faux fur, beads, wool, and fringe to create her boho style. The dream catcher’s prices range from $12.50 for the minis and up to $200 for 19 inch hoops, with the average prices being around $40. Her Etsy store offers 30 different designs to choose from and each unique piece will be handmade to order in her Eagle home art studio. You can see more of Stephanie’s work in her online Etsy store, at local and regional crafting events (like the Holiday House Boutique), and soon in local shops and Saturday markets. 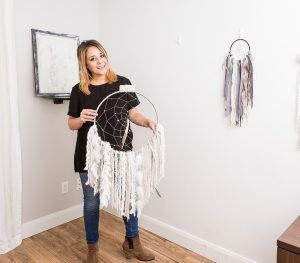 She also plans on hosting local workshops for those that want to learn how to weave their own dream catchers.